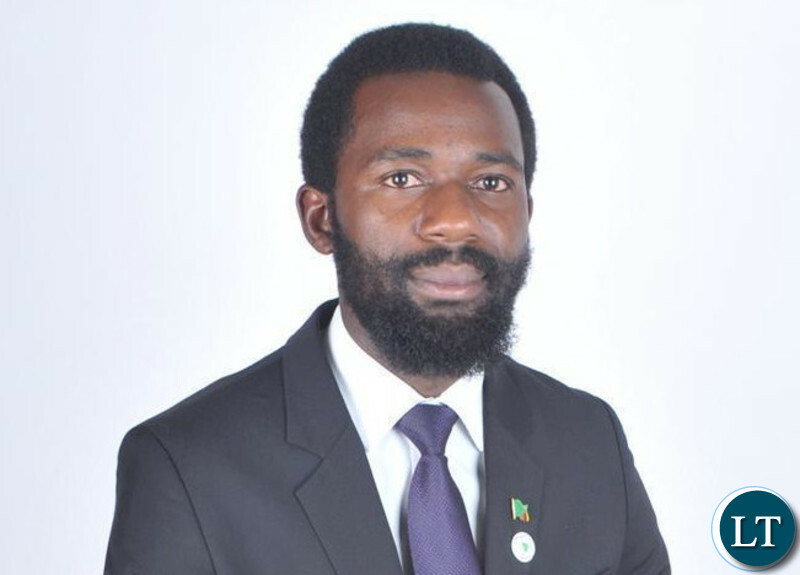 The Zambia National Students Union (ZANASU) regrets the decision announced by Minister of Higher Education, Professor Nkandu Luo, to unilaterally remove provision of meal allowances to students from public universities without seeking the repeal of the law by Parliament. The cost of only 1 fire truck at US$1 million is all that would have been enough to pay meal allowances for all students from all public universities. The decision by PF Government, a party that was elected into power and continues to masquerade itself as a pro-poor party, has hurt not only the first year students from poor families but such a decision will continue hurting generations of students from poor families who depend on provision of a living allowance during their time studying at our public universities. The justification by the Professor Luo for removing meal allowances is an excuse Government will use every time they seek to make decisions that negatively affect students and our people in this country. When Government begun to enforce repayment of loans from former students, they used the same justification. But the nation is also aware that the decision to extend loans to 1000 students to Palabama University, Chalimbana University, Mulungushi University, Mukuba University and Nkhwame Nkurumah University was announced on January 3, 2019 by Ministry of Higher Education Public Relations Officer, Chiselwa Kawanda, who said the extension was necessitated by loan recoveries the ministry had been undertaking from September last year. So it is patently false that the decision to abolish meal allowances is the one that will make Government to extend provision of loans to other institutions. ZANASU, at the request of students from CBU and UNZA, will be engaging with affected students through their Unions and directly to chat the way forward on the decision which was announced by the Minister yesterday. We do not rule out any course of action, which may include litigation. A Government that values provision of higher education especially to its poor citizenry cannot continue to allocate less money towards education as has been the case with this administration since 2015. The Government is not broke that it can fail to pay meal allowances to students but it’s the way our funds are managed which is a challenge as can be seen from the missing K1 million for toll fees. Is it also not ironic that our Government has no problem spending billions of taxpayers’ money to either purchase 40 fire trucks or send a delegation 25 member delegation to collect a donation of 4 fire trucks in the US but yet fail to allocate more money towards higher education? We also call upon Zambians and parents – especially those from poor families – to must never forget this decision made by Minister Luo which is meant to punish Zambians from poor families generally. Hypocrisy of the highest older, where were you when other students from higher institutions of learning have gone without meal allowances? Now that the Government evens the playing field whose interests are you trying miserably to champion? my surprise is that the coming of meal allowances was passed as a bill in parliament but how can this Luo abolish meal allowances for the students without passing it into parliament so that other member of parliament should vote like the way they did at first??? PF and Lungu , please slow down before you cause harm to yourself. What you must know is that the majority of voters are poor people and these are the people who voted for you. I know you have forgotten and you are blocking them from accessing higher education. Ok..you will see a lesson these poor people will teach you in 2021. I end here, if you have ears, hear what TRUTH HATES is saying. Its good that the net has been cast wider. Other students need to benefit from the limited resources allocated to education sector. Crying over fire tender scandal will not help us to recover the money but the case is of a prosecutable nature and bring culprits to account for their evils. in the while it’s a great move to abolish meal allowances to free resources for other students to benefit. It’s alright our voters cards are with us.So just prepare yourselves by stealing more at the expense our graduates to be.All the Chitotelas will run away 2021 is coming. Must inform the affected students that Lungu is with Nkandu Luwo but these poor students are with JEHOVAH OUR GOD IN HEAVEN WHO IS WORKING WITH JESUS CHRIST AND THE ANGELS. THESE EVILones will fall and u students who being denied what u deserve shall triumph over this. Amen. Yes my boy. You have said it right. The fact that shameless and heartless old woman Nkandu Luo is rich and has all the money to spend lavishly, our money which she and her friends are stealing on daily basis, does not mean that we as well have easy life, NO! We the Zambian parents are miserably suffering in our own county. We pay all sorts of tax to government every day, minerals are mined from our soil every day and trucks carry our copper to South Africa on daily basis, yet we don’t see any benefits coming back to us the citizenry. Our children in Higher Education have suffered a great deal, being denied of their rights to education by their own government which is refusing to subsidize educational costs of our children. Where people will support the sentiment of poverty stricken poor students, Misheck Kakonde, errs in connecting Fire Trucks debacle in his argument. We get no where mocking people, instead be a diplomat and use your words well, reversing from grabbing wild allegations by demented folk. It’s not impressive. However, we support the idea that the meal grants stay. I don’t know enough about the Zambian student loans, particularly what they cover. If the basic grant covers amounts to living allowances (rent, pocket money etc), are the meals amounts a bonus for say …the occasional latte?